Maryville University on Monday detailed its ongoing iPad Pro curriculum, a unique program that provides each incoming student a new iPad Pro and Apple Pencil, saying Apple's educational hardware and software suites not only add value to classroom activities, but help save money. In a joint statement with Apple device management firm Jamf, Maryville estimates Apple's education discount and in-classroom software saves the school up to $590,000 on computing hardware per year compared to desktop solutions. Additionally, the St. Louis, Mo., university saves at least $50,000 on apps per semester. Doling out a new iPad Pro and Apple Pencil to every incoming full-time student, Maryville now administers some 3,600 iPads, 350 Macs and 110 iPhones with Jamf Pro, a third-party mobile device management solution marketed by Jamf. The MDM software is used to synchronize data from Maryville's internal learning management system with Apple School Manager, information that subsequently makes its way into classrooms. Maryville University President, Mark Lombardi, points out iPad Pro lets students access content in a way that suits their personal learning style. "And really, that's been the great tragedy of education, not just higher ed, but K-12 historically," Lombardi said. "So many people fall through the cracks. Not because they're dumb. Not because they're lazy. Not because of any of those things. Because the way they're being taught doesn't fit their learning style." Alongside Jamf's toolset, Maryville relies on Apple Classroom to remotely monitor, manage and interact with student iPads in the classroom. 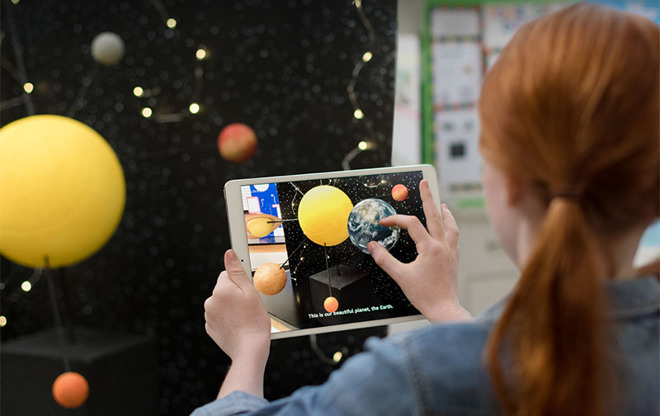 Apple last month highlighted a slew of new education-centric technology at a special event in Chicago, including a low-cost 9.7-inch iPad with Apple Pencil support and new software like the Schoolwork app and ClassKit API. The company also announced a macOS version of Classroom would debut in June. The update comes on the heels of news that iOS 11.3 causes issues with Jamf Pro 10.3, with users reporting a "failed loop" cycle on devices running the Jamf software.